When you're searching for preschool teacher jobs, you need to arm yourself with the most current information. What does a preschool teacher do? How much are they typically paid? How do I go about finding a job? How do I prepare for a job interview? All of these questions and more are answered below. Preschool teachers educate children who have not started kindergarten yet, usually aged 3 to 5, both individually and in groups. They do so by planning and implementing a preschool curriculum that covers various areas of a child’s development, such as motor skills, social and emotional development, and language development. Preschool teacher jobs are important for the development of children. Early childhood educators introduce children to reading and writing, expand their vocabulary, creative arts, science, and social studies. They use books, music, films games, computers, artwork, and other tools to teach concepts and skills. Preschool teachers realize the importance of children's play to enhance language and vocabulary development, improve social skills, and introduce scientific and mathematical concepts. To prepare students for kindergarten, letter and sound recognition, numbers, and awareness of nature and science are introduced during the preschool age. Early childhood educators often work with students from diverse ethnic, racial, and religious backgrounds. It is important for preschool teachers to be able to work effectively with a varied student population. Teachers may also include multicultural lesson plans, to address the needs of all students, regardless of their cultural background. Part-time schedules are common among preschool teachers. Many teachers work the traditional 9-month school year with a 2 or 3-month vacation during the summer. During the summer vacation break, teachers might teach in summer camps, take other jobs, travel, or pursue personal interests. Many enroll in college courses or workshops to continue their education. Preschool teachers working in day care settings usually work year round. According to the Bureau of Labor Statistics, the average salary for all preschool teachers was $27,570 in 2013. However, teachers can make significantly more if they work for certain employers (see chart below). Teachers' income also tends to increase as their own education level rises. Consider earning your degree or enrolling in professional development courses. Once you have decided that teaching preschool is the career for you, the next step is to find a job. There are different places that one can look to find open positions. If you have decided you'd like to teach in a school setting, you may want to look directly on your local school district's website for openings (or contact the Human Resources department). You may also want to check your local newspaper's classified section. Local schools, organizations, and even daycare centers will advertise their open positions there. One thing to keep in mind is that many schools ask for current teachers to sign contracts or verbally commit to the upcoming year in March of the current school year. I would recommend sending your resume and cover letter to schools and centers in which you'd like to work by April 1st to have on file. Craigslist and the local newspaper are also good options. One of my favorite places to search for a preschool teaching job is by checking the online job search engines, like Monster. They not only list open jobs, but allow you to apply directly through them by submitting your resume, cover letter, etc. Access More Career Tools, Advice, and Information. You can create a Monster Account for free! And don't underestimate networking, both online and in person. Let people know you are looking for work in the field! Consider a profile on LinkedIn. With LinkedIn, you can join many groups. Search them for interview groups to increase your interview skills. 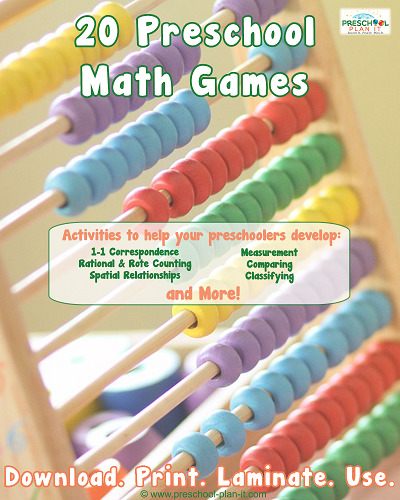 Go to the Preschool Teacher Main Page for more information!